It’s that time of the year again when the Petersen’s Farm at Woolooga celebrate their annual Big Rosella Festival on Sunday 5th May 2019. On it’s 4th year, it will be a great day to enjoy a day at their farm. There are over 3,000 Rosella trees planted this season and in May the mature bushes will be loaded with the deep red rosella fruits. They also planted other crops ready for picking such as gourmet tomatoes, cape gooseberry, eggplant, chillies, snake beans, okra, cassava, red bora beans, tomatillos, choi sum, gailann, coriander, borlotti beans, butter beans and more. Plus their very own homecook CC Diaz-Petersen will be up on stage sharing her own twist to homecooking. Celebrating All Things Rosella includes the popular farm tours, cooking demos and some fun games involving Rosellas. 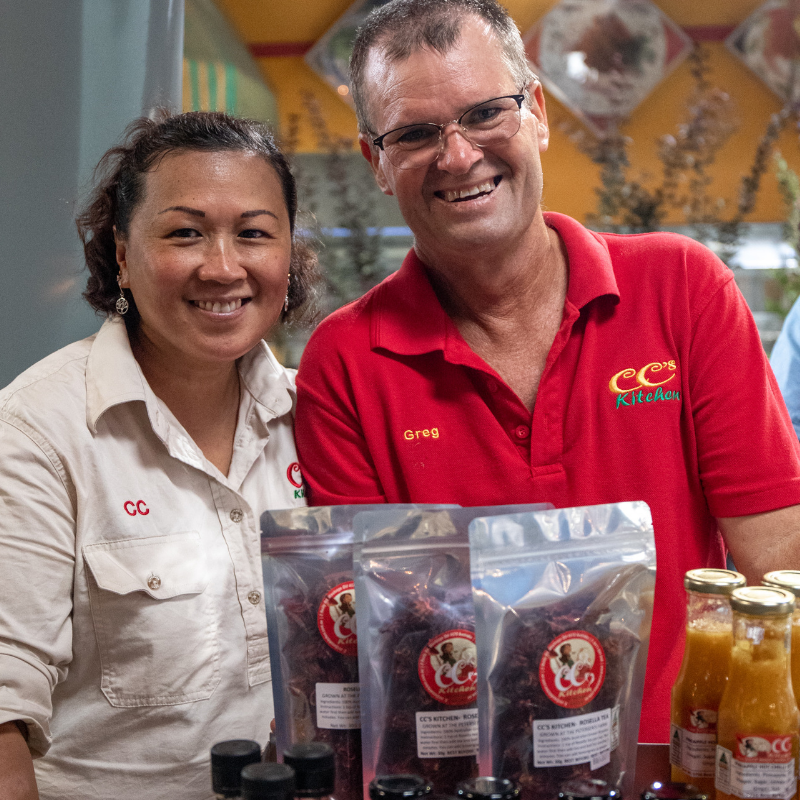 There will be a huge display of CC’S Kitchen fine food products including over 25 Rosella related products and fresh produce. CC will prepare an array of homemade food available to purchase on the day. Free face painting for the kids too. The Big Rosella Festival will be supporting the local Gootchie CWA ladies in raising funds for their project by selling raffle tickets. Better still the ladies will be making scones and jam drops. Entry Fee $5 and kids under 12 Free. This is a no smoking and dog family friendly event. Remember to wear comfotable shoes and a hat. If your organising a bus tour make sure you pre book your tickets. This is one of a kind farm day experience in the Gympie region and support these farmers putting up their own event.